Use the 3 free character traits graphic organizers below. Each of the graphic organizers focuses on a different aspect of character traits, and can be used over and over with a suitable fiction story. Find these graphic organizers, as well as other free character trait resources here. Just look for the red FREE! next to the resources. 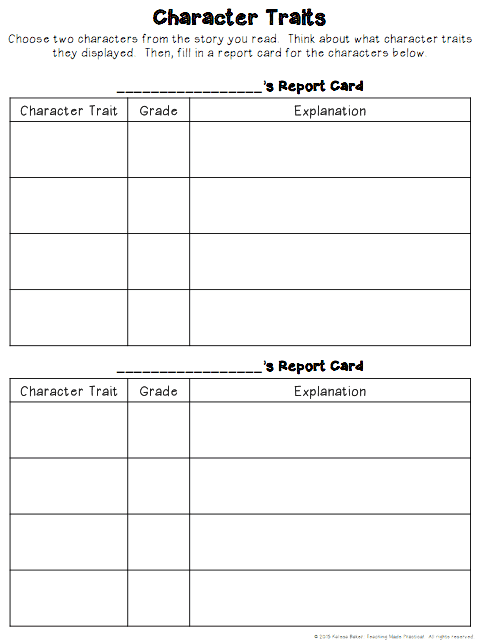 This character traits graphic organizer has students assign a character a “grade” based on their different character traits, and then defend their grade with an explanation. This is a great graphic organizer to use to show students that everybody has their own strengths and weaknesses. Before having students fill out a report card based on a character in a story, I would always model this graphic organizer using myself as an example. My students always got a kick out of “grading” me. I tried to pick character traits that I exhibited often in the classroom, the good as well as the bad. Students would grade me on how truthful, patient, clumsy, and fair I was – I always got an A+ for clumsy! 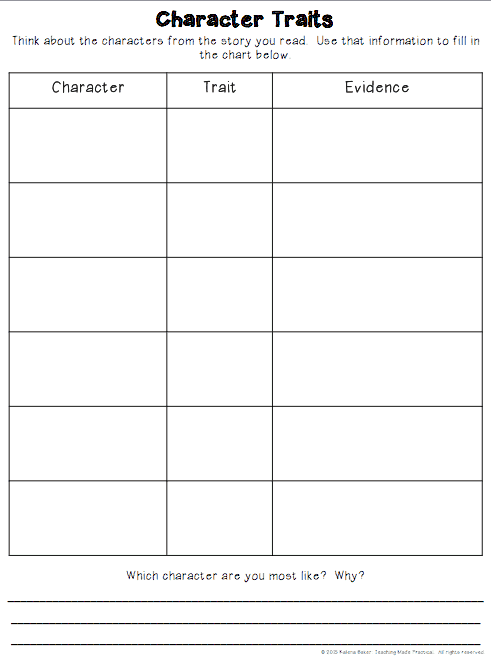 This simple chart helps students organize information about the characters they read about. 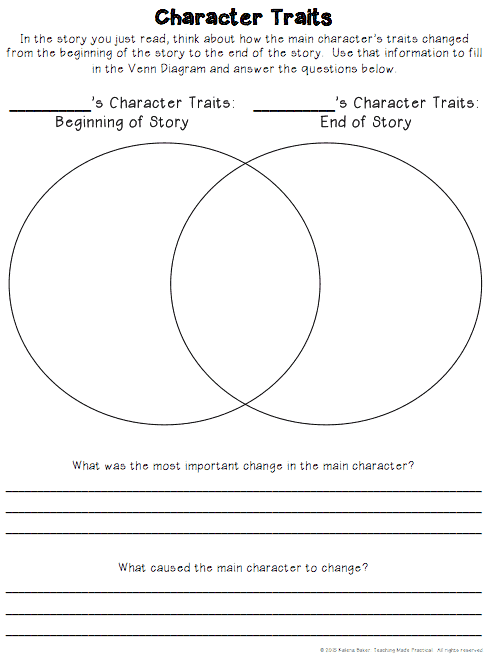 By filling out the graphic organizer, students will be more easily about to compare and contrast the different characters in a story. Also, it requires students to cite evidence from the story and defend their answers – a must have skill with today’s standards. This character traits graphic organizer compares a character’s behavior at the beginning of a story to their behavior at the end of a story. It will work best when used with a fiction story where one of the main characters undergoes a dramatic change. Students must also answer questions about the main character and what caused the change. At least one of these graphic organizers should work with any fiction text that contains characters. Find these Free Character Trait Graphic Organizers here, as well as several other free character trait resources. Just look for the red FREE! next to the resources. These graphic organizers are a part of this Character Trait Resource, which includes 2 cut and paste activities, 3 reading passages (each with a corresponding activity), and several writing activities. 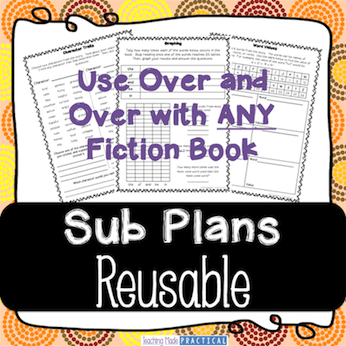 No prep is involved in any of these character trait activities, saving you time. You might also be interested in my Character Traits Page. It includes ways to integrate technology while teaching character traits, as well as several free character trait resources. These organizers are fantastic! Thank you for sharing! Thank You so much! Exactly what I needed. You’re welcome! Hope it’s helpful!